In 1992, Weezer had their first practice session in Los Angeles. Over the course of the next year, the group played the club scene, ultimately scoring a deal with DGC from their demo cassette. To date, they have released nine full-length albums, six EPs, and a DVD, selling over nine million records in the United States. 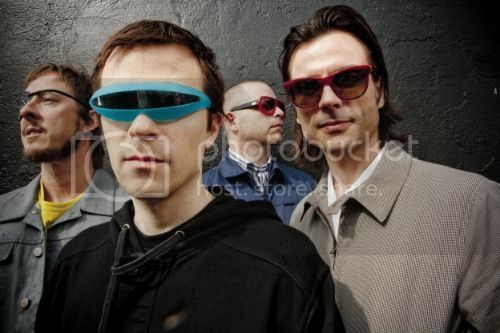 Their debut album Weezer (aka “The Blue Album”), producer by Ric Ocasek, has been certified triple platinum in the United States, and remains the band’s all-time best seller. Upon completing the record, Weezer went on hiatus temporarily as Cuomo studied at Harvard. With help from the Spike Jonze-directed video, the single "Undone (The Sweater Song)" became a hit in the fall of 1994. But by the time the album's final single, "Say It Ain't So," was released in the summer of 1995, the group had gone on hiatus once again, with Cuomo returning to Harvard.